Not every patio has an abundance of trees to provide the required shade. Whether next to your favourite bench, the sandpit or the kids’ paddling pool, you do not always have the sun and UV protection you need. The free-standing double awnings of STOBAG were developed specifically for this purpose. 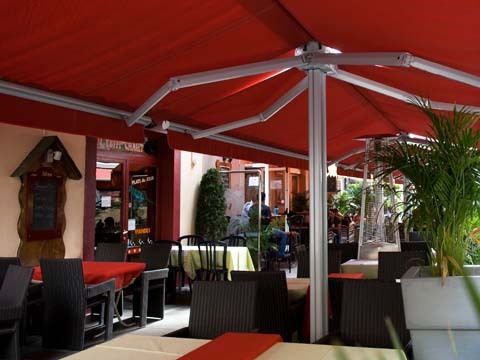 They are not trying to compete with umbrellas, for while Umbrellas provide shade at selected points, free-standing awnings offer flexible and mobile shade for incomparably large areas up to 40 m². 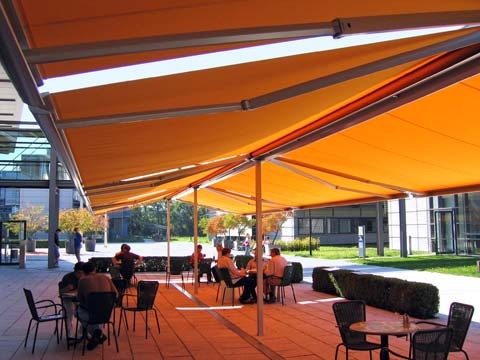 Furthermore, as most umbrella`s are supported in the middle of the shade, they can only provide shade when moved away from where the shade is needed.